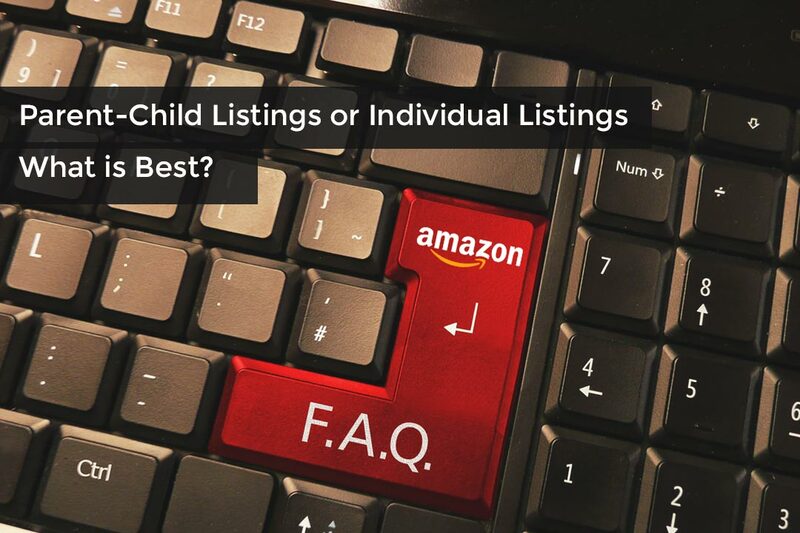 The visibility of parent-child listings is pretty much the same as for individual listings. In the Best Sellers Ranking (BSR), still each variation will show up on their own. In Keyword searches only one variation will show (usually the most relevant if your keyword contains the variation explicitly such as a color and otherwise the best selling one), however this variation has a better chance of ranking for a wide range of terms since you can utilize more search terms and also create different titles including more of the most relevant keywords. When people discover your listing and click on it, they can always see the other variants, giving them more choices. You can be sure they can see every variation, while in search with individual listings, they might all show up, but other variations might be lower or on another page. With different sizes maybe this is not much the case, but for example if you sell tea and have different flavors in your child listings, then parent-child listings can lead to increased sales. One special benefit of parent-child listings happens when you run out of stock for a variant. With individual listings, the listings that are out of stock simply won’t show up in search, while your parent-child listings will show a variant that is still in stock. If you sell let’s say a t-shirt in 3 different colors, and most people want to buy the black one, but it’s sold out, you can still get sales from people finding your listing but now ordering the blue one instead. One of the best benefits of parent-child listings are grouped reviews. Amazon will combine the ratings and reviews of all variants. Showing the combined number on every child listing. This makes it far easier to gather a large number of reviews than if you sell 10 individual listings. The only downside? If one variant tends to get a very low overall rating it can hurt your parents listings review rating. Make sure to combine only products that are similar (and of the same quality) into parent-child listings.